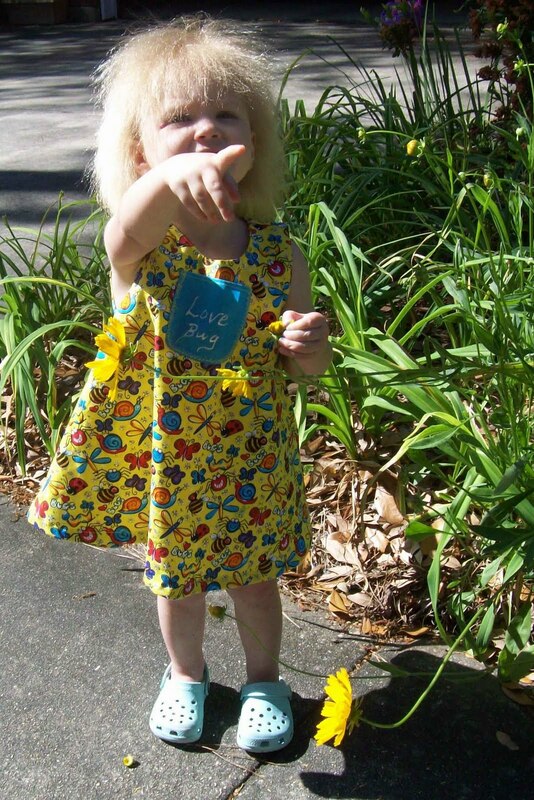 Last time Lilly visited, she was drawn to one of the pieces of fabric sitting on a side table. She brought it to me a couple times. 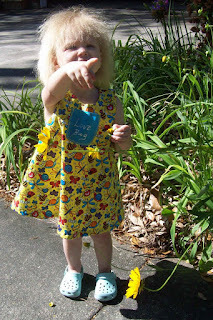 So, after she went home I selected one of the patterns from my Mostly Pattern Shop, and put together this little dress. I selected a piece of corresponding blue fabric for the chest pocket and wrote in 'Love Bug' with pearlized fabric paint. I must confess, this is the first dress I've sewn from scratch in at least 15 years. Although it is certainly not a masterpiece, it's bright and colorful and fits her just fine.